Kung Fu Techno/KFTØ has officially become a resident electronic music showcase in Channel Zero. On this occasion we are inviting a very special guest from Italy with his debute show in Slovenia to celebrate this event. Based near Bari in the south of Italy, Gianluca Caiati aka Kaiser started making his first steps in 2007 by practicing on old turntables, mixing house, classic, disco, funky and electronic music. Introduced to the international scene since the very young age of 18, Kaiser started to make his own music and during the years he has released his productions for such labels like Planet Rhythm, Animal Farm, Konflkt, Quant, End Of Dayz, made of CONCRETE, with great results and feedbacks by international artists who regularly play his music. Moreover, he is working for great clubs around the Italy and for best places in the EU techno scene and also, has shared the major club console with the best international artists. 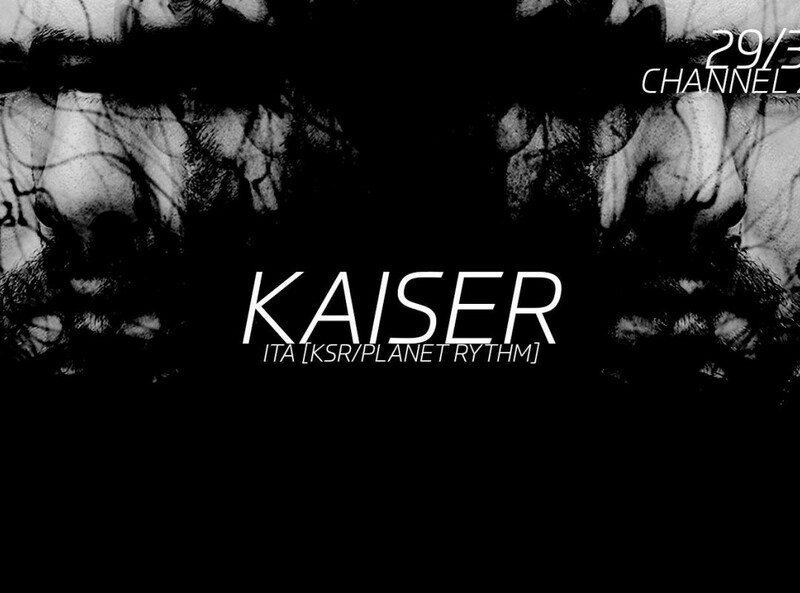 In the mid of 2018 Kaiser starts his own imprint ‚K S R‘ where the meeting of his multi-faceted art takes shape. Of course, he is always working and looking forward on new discographic productions and most of all improving himself to reach new goals.